October sees the start of the final quarter of the year, where has the year gone? I mean I walked into Pick n Pay the other day and they’ve already started packing out the Christmas decorations and some other goodies. Remember the 1st of October is an important day because of two celebrations. It’s the International Day of Older Persons, which is recognized by the UN and World Vegetarian Day, no I’m not a vegetarian and like many don’t really enjoy too many vege’s, but I don’t begrudge vegie folks following their lifestyle choice, enjoy the day if you are a vegetable lover. Jeez, Christmas merchandising already, blerry hell! October is also Pork Month; Pasta Month; Sausage Month; Seafood Month; Country Ham Month; Chili Month; Spinach Lovers Month and Celebrate Sun Dried Tomatoes Month now there is no excuse not to get into the kitchen to practice for that great Christmas/New years eat fest because it’s your turn to have the family over the annual celebrations of goodwill. The Klutz in the Kitchen is over the moon about this so watch out for the incredible recipes to come. Here’s a bit about October which is the tenth month of the year in the Gregorian Calendar and one of seven Gregorian months with a length of 31 days. The eighth month in the old Roman calendar, October retained its name (from the Latin “octo” meaning “eight”) when January and February were added. 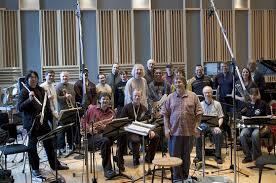 Jazz Rendezvous leads off the live streaming day fro 10am Central African time, the at 12pm C.A.T. it’s Latin Perspective with our man Tony Vasquez in Pittsburgh, Pennsylvania. 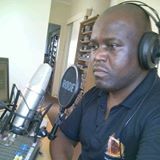 Ndoxy Ndodana Hadebe then gets behind the mic in our Cape Town Studio to present the Midweek Jazz Melange. At 4pm C.A.T. 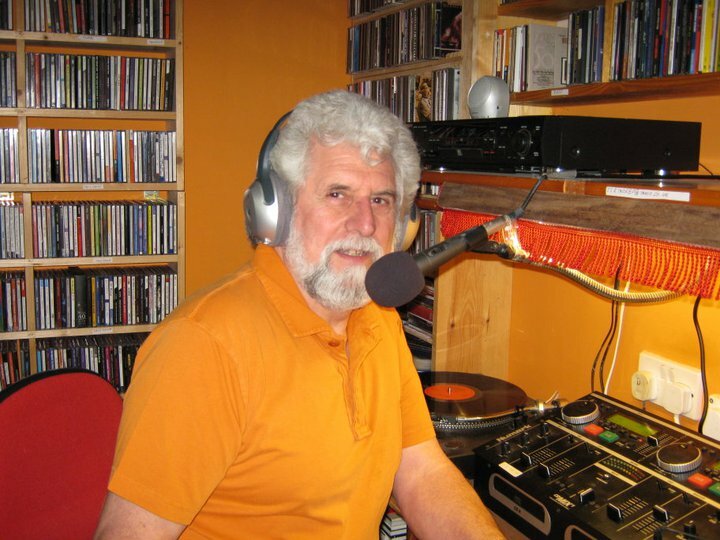 our regular compiled program, The Sundown Show hits the streaming waves with a broad mix of genre style of jazz. every Sunday from 2 to 4pm Central African Time. The Klutz in the Kitchen is truly inspired this month just look at the choices of main ingredients for recipes and has decided that the humble Chilli will be the hero of todays recipe Chili con Carne. See the recipe on the Klutzes page on our website, It’s gonna be yummolicious. Darrell Katz will lead the 20 piece Jazz Composers Alliance Orchestra in a program including his improvisational cantata, “Wheelworks,” due out on a Leo Records release Why Do You Ride, featuring vocalist Rebecca Shrimpton. Also on the bill will be a new composition honouring recently retired Berklee faculty member Phil Wilson, featuring faculty members Helen Sherrah-Davies on violin and Vessela Stoyanova on marimba. Katz and the JCA Orchestra have been presenting new music in the Boston area since 1985. Herein lies pretty much everything you need to know about jazz piano, from Jelly Roll to Duke to Count to Monk. There are a number of collections on the market that highlight Jelly Roll Morton’s innovative brilliance as both a soloist (The Pearls) and a bandleader (Jelly Roll Morton 1923-1924) but this record of both music and interviews is a true gem. Recorded by Alan Lomax on an acetate recorder in Spring of 1938, just a few years before Morton died, it is a “virtual history of the birth pangs of jazz as it happened in the New Orleans of the turn of the century,” according to Richard Cook and Brian Morton. For those inclined to dive into the “deep end,” Art Tatum’s The Complete Pablo Solo Masterpieces is a great place to make the leap. For those wishing a little more compact taste of what Tatum brought to the keyboard, this “best of” compilation is a worthwhile entry point. The humongous collection that spans Duke Ellington‘s recordings with Columbia is wonderful, of course, as are his sessions with Coltrane and his many “suite” recordings; but, song for song, dollar for dollar, there’s no better set than this. Along with the contributions of Jimmy Blanton on bass and Ben Webster on sax, this record also includes greats like Barney Bigard Johnny Hodges and Billy Strayhorn. Once it was invented (largely by Jelly Roll Morton), refined (by Art Tatum) and carried to the bandstand (by Basie and Ellington), jazz piano then arrived at the dawn of bebop. Bud Powell was one of the keystones of the transition from big band to bop and this record defines that evolution, with his incendiary playing and it’s fascinating rhythmic and harmonic language. Bill Evans changed the face of jazz piano an immeasurable way, a sensitive and gentle man whose melodic sensitives were so acute it was as if he were wearing his heart on his sleeve with every note. He made so many cornerstone recordings for Riverside between 1956 and 1963 it’s difficult to choose one. So why not have them all? Everybody Digs Bill Evans. Live At The Village Vanguard. Waltz For Debby. The story behind this 60-minute concert recording is fairly magnificent. It was promoted by a 17-year old, marked the first jazz concert at the Koln Opera House, was executed at 11:30PM in the evening (at a ticket price of $1.72 US) and was performed on a substandard piano by an player who was in substantial pain due to a back injury. 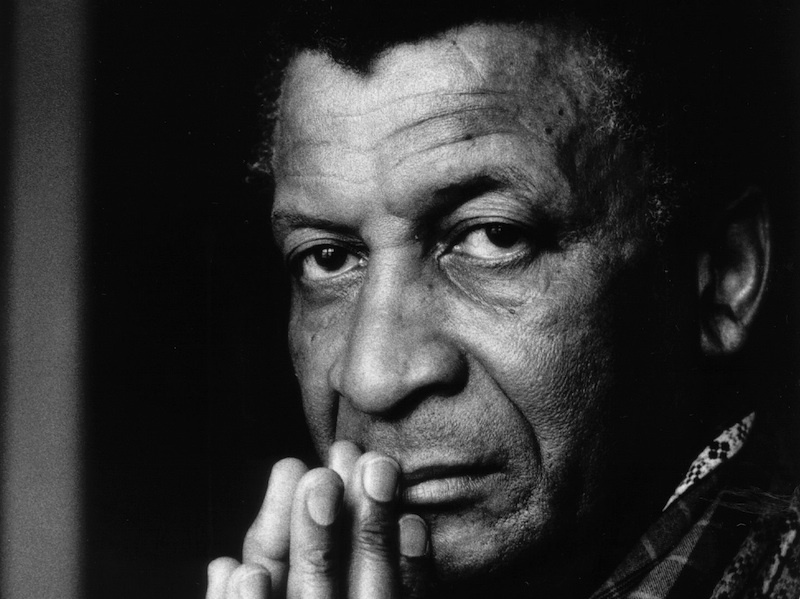 Pianist Abdullah Ibrahim, once described in the Guardian as “a laid-back South African reincarnation of Thelonious Monk”, plays four English dates shortly after his 80th birthday on 9 October. 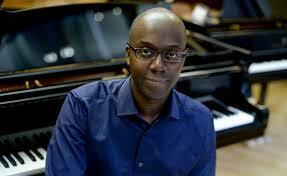 He appears both with his new trio (Cleave Guyton, reeds and Noah Jackson, cello) and his township-jazz septet Ekaya at London Royal Festival Hall as part of the EFG London Jazz Festival (15 November) before going on to Saffron Hall, Saffron Walden (trio, 16), Sage Gateshead (solo, 19) and Leeds Howard Assembly Room (solo, 20). The archetype of the jazzman as the heroic individualist living on the edge of society was dented last week when at a hearing in New York on 17 September, members of the Justice for Jazz Artists Campaign testified in support of improving the working lives of New York’s jazz musicians with fair pay, healthcare benefits and contributions towards pensions. The campaign, which has been running since 2011, seeks to establish legislation that ensures jazz musicians who play New York’s clubs have fair workplace benefits and aren’t forced to retire in poverty. Musicians in support of the campaign include Harry Belafonte, Christian McBride, Bob Cranshaw and Bill Frisell, with testimony at the recent hearing delivered by Jimmy Owens, Gene Perla and Keisha St. Joan, among many others. For those jazz musicians who work at New York’s clubs, there has appeared to be a disparity for many years when it comes to benefits and pensions compared with those who play on Broadway and in symphony orchestras, who are protected by union contracts. 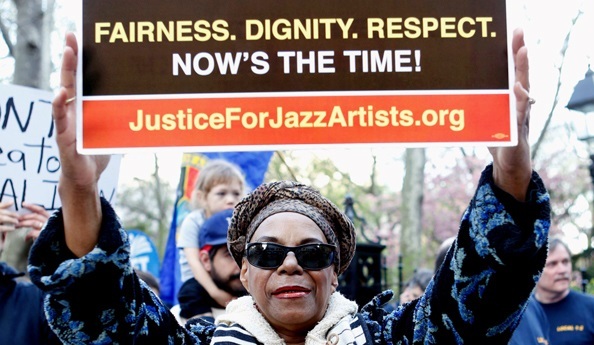 Justice for Jazz Artists, which aims to pass Resolution 207 A, hopes that by working with NYC’s jazz clubs they can ensure jazz musicians receive fair pay, pension contributions, protection of their recording rights and a fair grievance process. Currently over 7,000 have signed a petition in support of the campaign. You can find out more and sign the petition at justiceforjazzartists.org and also see regular updates about the campaign on its Facebook and Twitter pages. With the summer jazz festival season over, anticipation is growing for London’s annual winter jazz celebration, the EFG London Jazz Festival, with more acts being regularly added to the line-up. Reflecting one strand focusing on piano-led jazz from Europe, in July Swiss trio Rusconi and Belgian pianist Jef Neve were confirmed to appear, along with a duet from pianists Alexander Hawkins and Marcin Masecki, who will be performing together for the first time. with his new Engines Orchestra, Robert Mitchell (pictured) with the Bournemouth Symphony Chorus and a centenary celebration of the life of bassist Coleridge Coode led by Gary Cosby. These acts joined an extensive list of those already announced, which includes Marcus Miller, Robert Glasper + Jason Moran, Dave Holland, Dee Dee Bridgewater, Bill Frisell, Abdullah Ibrahim, Kris Bowers, Ibrahim Maalouf, John McLaughlin, Dedication Orchestra, Chucho Valdés, John Surman, Kenny Barron, Bugge Wesseltoft, Henrik Schwarz, Dan Berglund, Regina Carter, Leszek Możdżer, Jane Monheit, Vinicio Capossela, The Bad Plus, The Hot Sardines, Sam Amidon, Snarky Puppy, Stefano Bollani + Hamilton de Holanda, Tomasz Stanko, Trish Clowes and Zara McFarlane. The festival runs from 14 to 23 November 2014 at various venues across the city, with tickets for all acts available to book online at efglondonjazzfestival.org.uk, where you can also join the mailing list to be kept up to date with all the latest announcements.